Real Temp is a temperature monitoring program designed for all Intel single Core, Dual Core, Quad Core and Core i7 processors. 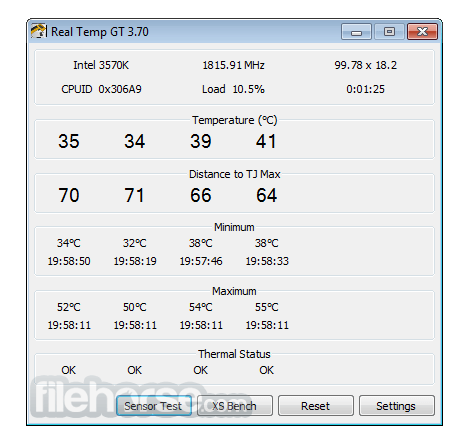 Check it how to monitor the temperature of your PC using Real Temp. Each core on these processors has a digital thermal sensor (DTS) that reports temperature data relative to TJMax which is the safe maximum operating core temperature for the CPU. As your CPU heats up, your Distance to TJMax will decrease. 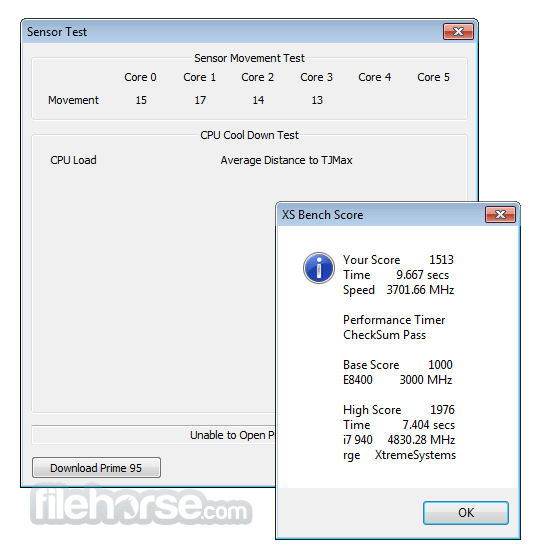 If it reaches zero, your processor will start to thermal throttle or slow down so maximizing your distance away from TJMax will help your computer run at full speed and more reliably too. Reads temperature information from all Intel Core based processors. Pentium 4 processors are not supported. Ability to individually calibrate Real Temp for each core of your CPU. Program is based on temperature data gathered using a Fluke 62 IR Thermometer. Test Sensors feature will check your DTS sensors for any sign of problems. Keeps track of Minimum and Maximum temperatures with full logging features. Reporting and logging of the Intel PROCHOT# thermal throttle activity bit. Quick, very accurate and repeatable benchmark. Displays MHz, TJMax, CPUID, APIC ID and Calibration settings. 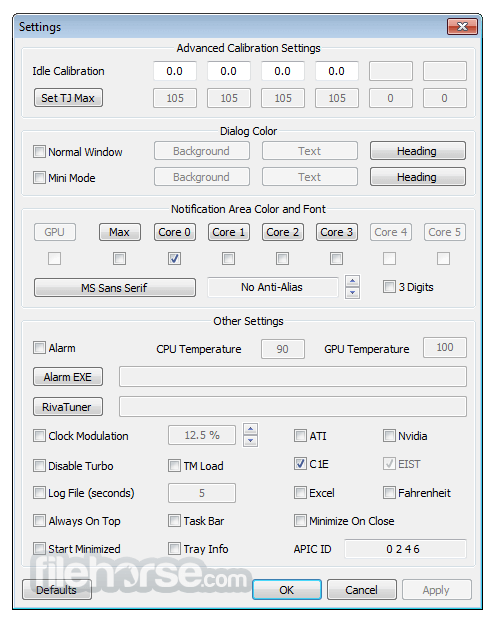 High temperature alarm and shutdown feature based on CPU or NVIDIA GPU temperature. No installation or registry modifications required. Note: Doesn't support AMD Processors.